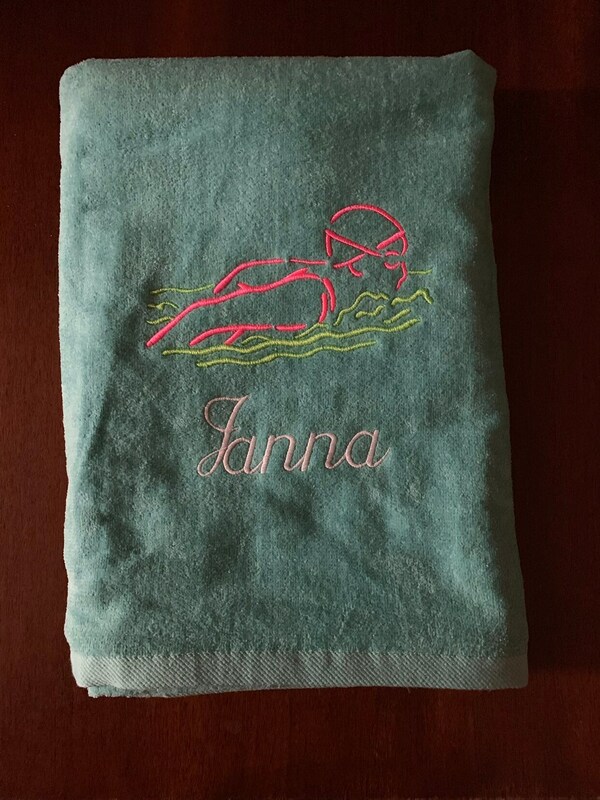 Personalized Beach towels make great personalized towel gifts for beach wedding kids for Easter or birthdays. 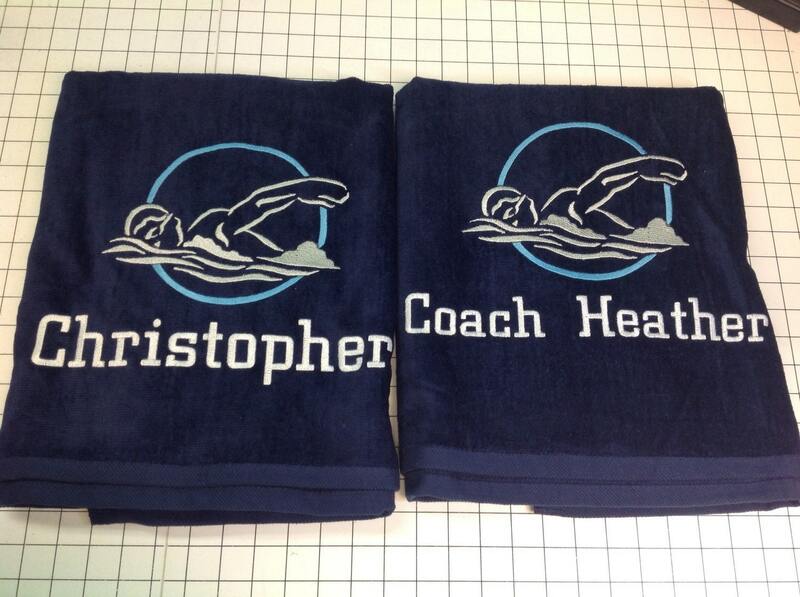 OMG THIS IS AMAZING! 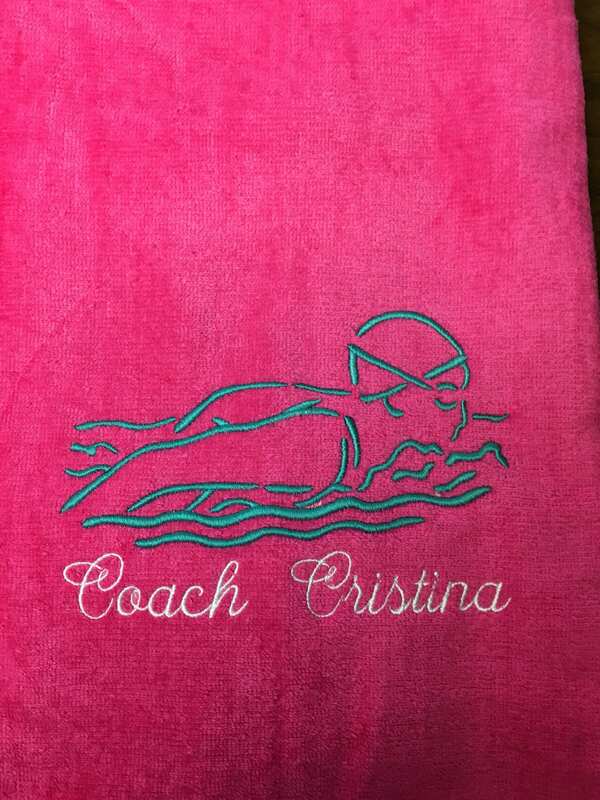 This towel is super great quality and the embroidery is killer. 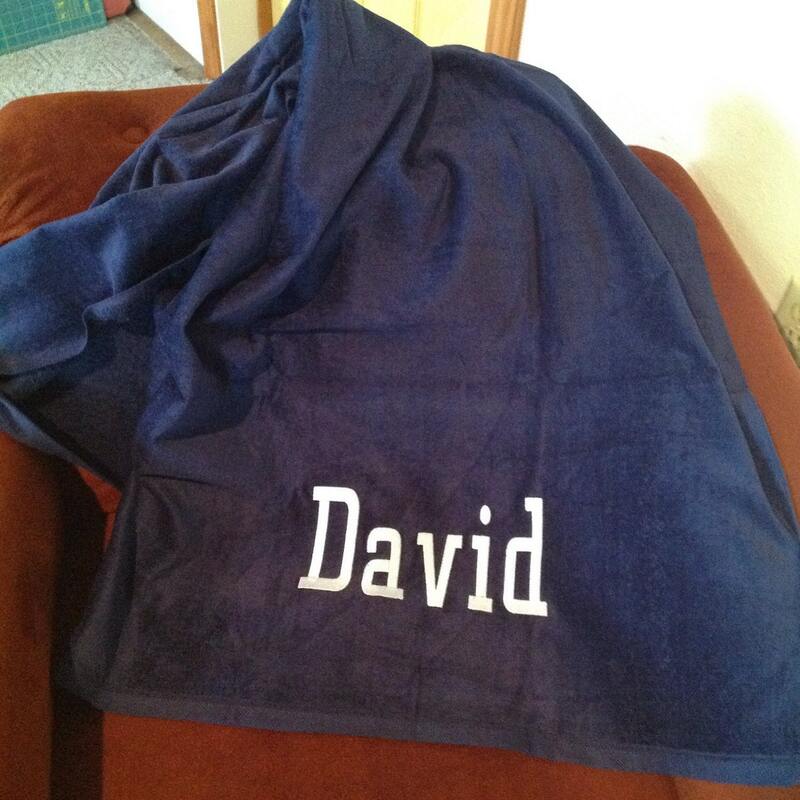 I think I totally just nailed my neice’s christmas present. Woohoo! 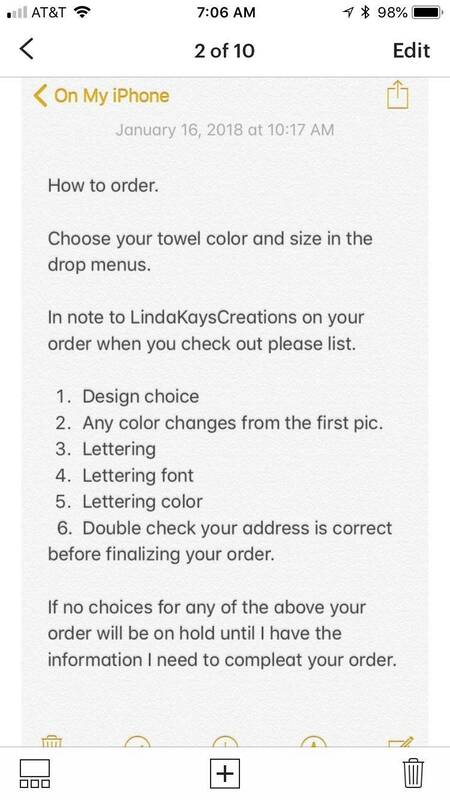 Wonderful seller! 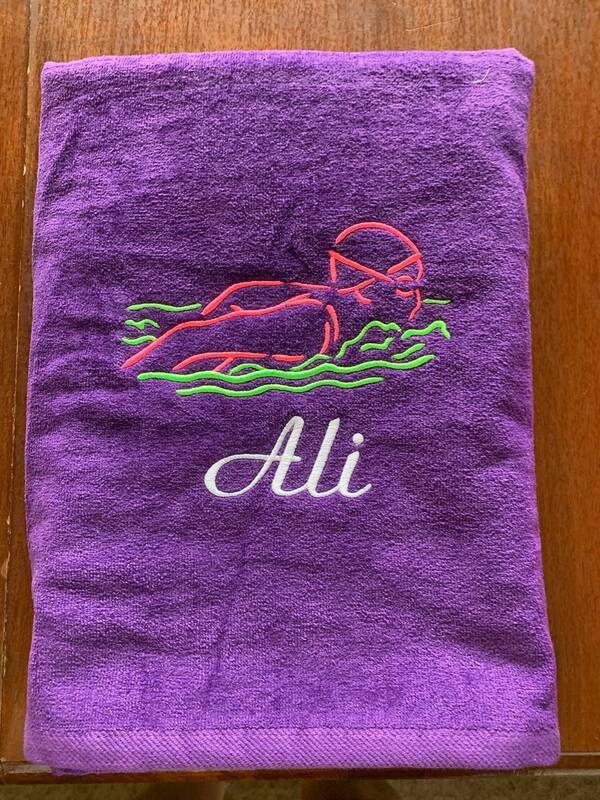 Rushed my order for me and did a beautiful personalise swimmers towel. My friend loved it! Thanks very much! Great and friendly communication. Ordered on a Saturday, delivered on Wednesday!! Super fast! Definitely recommend!! 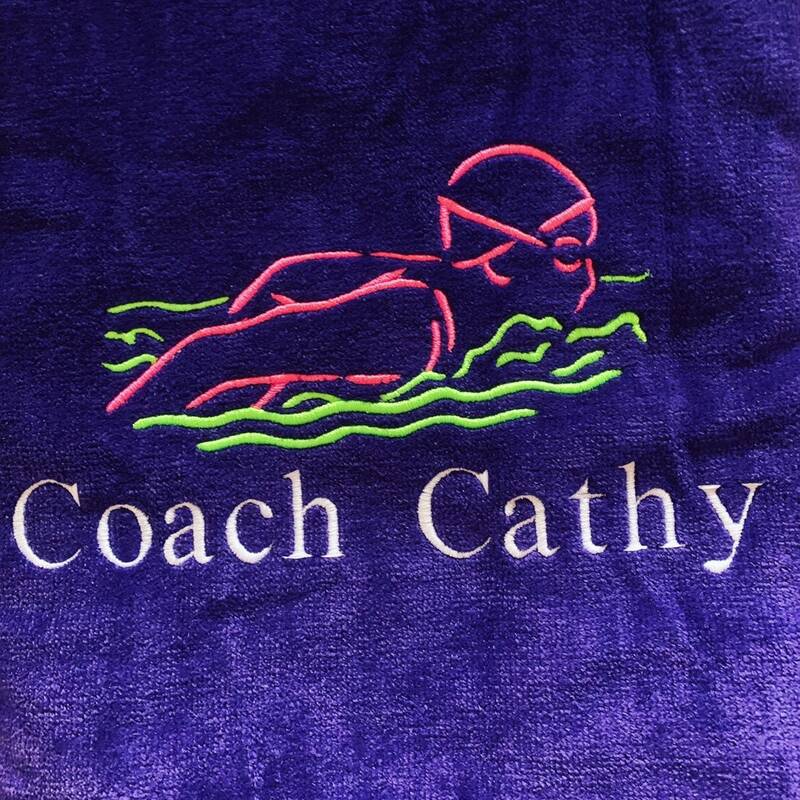 Loved the swim towel! This is amazing! 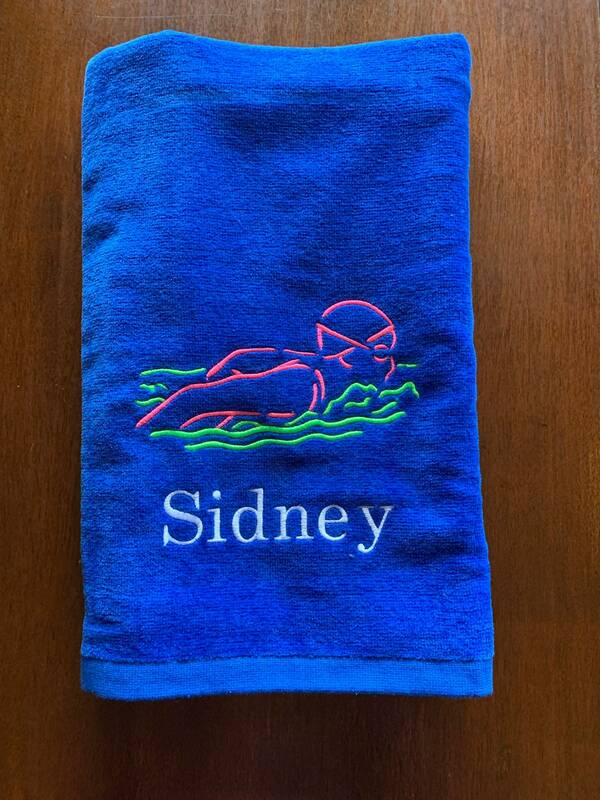 I bought a towel for my Nephew because he started on a swim team this year and it looks amazing! 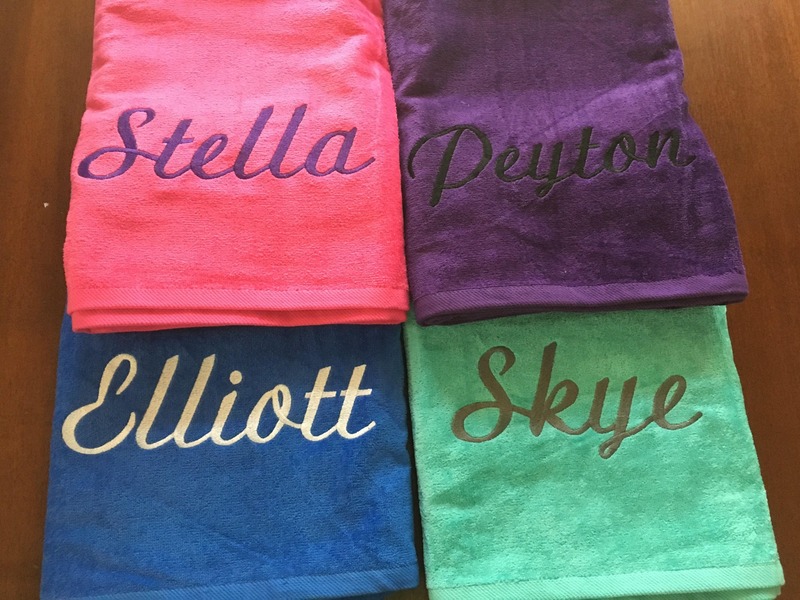 I will be ordering more! 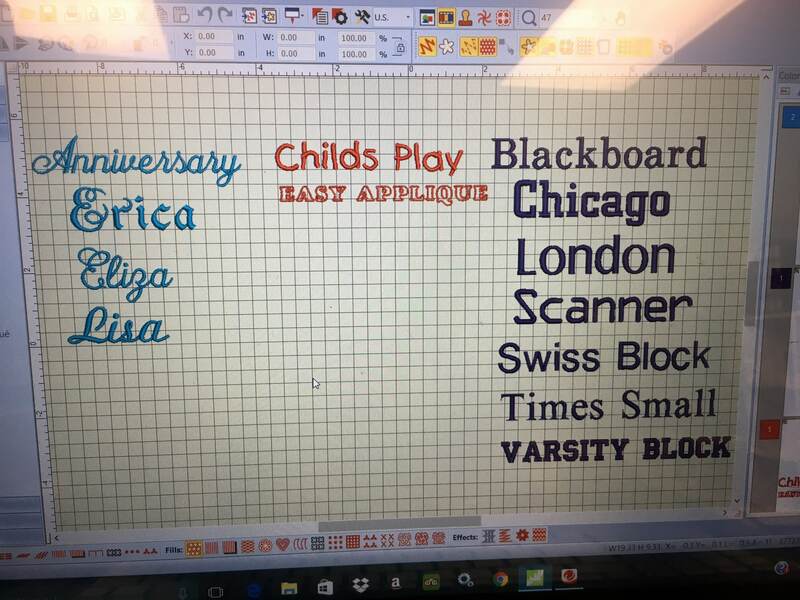 Thank you for the great work!